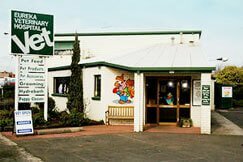 Join a team of veterinary professionals who are passionate about veterinary science and treating animals in a compassionate and friendly team environment. We at the Eureka Veterinary Clinic recognise that our team are the foundation of not just the business, but of our way of life. Through our consistent growth, based on the quality of our service, we now have the opportunity to welcome our next team member who will join us in this next exciting phase of our journey. 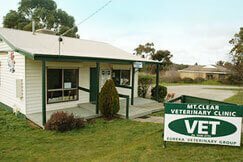 For over 30 years, the Eureka Veterinary Clinic as been recognised by the Ballarat community for providing high quality, compassionate and personalised veterinary care. Our well earned reputation has allowed us to attract, retain and developed quality vets and nurses. We are a new graduate friendly practice and we welcome new graduating veterinarians to start their careers here, ensuring a high level of support and on going education. For established veterinarians we offer interesting and challenging cases, with manageable caseloads and a fair work life balance. A high proficiency for companion animal preventative care. To apply, please prepare a cover letter specifically highlighting why you think that this is an ideal role for you together with a resume and email to rob.page@eurekavet.com.au.